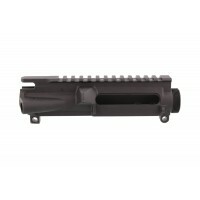 AR 15 Upper Parts - Looking for AR 15 Upper Receivers? 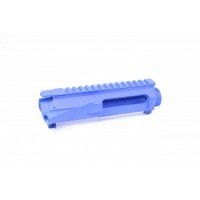 You've found Moriarti Armaments, home of the best AR parts selection and prices every day. 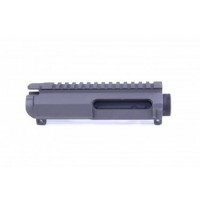 AR-15 Stripped Billet Upper in Red .223 / 5.56 Cal T6 6061 Billet 1913 Picatinny Rail Flat Top Manufactured From Solid Block Of Billet Aluminum M4 Feed Ramp Red Anodized Finish Will Match Up With Any Brand Lower Receiver Accepts Mil-Spec Ejection ..
AR-15 5.56/.223 Upper Build Kit with Black Nitride BCG provides a great replacement kit for all your upper receiver needs. 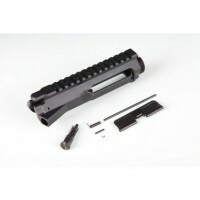 The kit includes:.223/5.56 Stripped Upper Receiver7075-T6 Forged Aluminum Hard Coat AnodizedM4 Feed RampsMade in the USAUpper Parts Kit (Forward Assist Kit + Dust Cover Kit.. The Aero Precision Stripped Upper Receiver is crafted from a 7075-T6 aluminum forging machined to MIL-SPEC including M4 feed ramps. The upper is Type III Class 2 hardcoat anodized and laser engraved with T-marks. 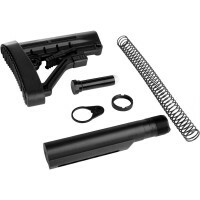 Compatible with all MIL-SPEC AR-15/M16 components.Features:M4 feedrampsAnodized blackMa.. The Aero Precision Stripped Upper Receiver is crafted from a 7075-T6 aluminum forging machined to MIL-SPEC including M4 feed ramps. 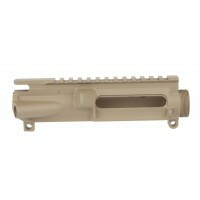 The upper is finished in a durable flat dark earth Cerakote. Compatible with all MIL-SPEC AR-15/M16 components.Features:M4 feedrampsMagpul FDE CerakoteMachined for .250..
AR-15 BILLET UPPER RECEIVER WITH FORWARD ASSIST & EJECTION DOOR ASSEMBLYUS Made In Scottsdale, Arizona.223 / 5.56 CalT6 6061 Billet 1913 Picatinny Rail Flat TopManufactured From Solid Block Of Billet AluminumM4 Feed RampMIL-A-8625 TYPE III AnodizingWill Match Up With Any Brand Lower Receive..
AR-15 Moriarti Armaments Dust CoverAR-15 Dust Cover to complete your AR-15 Stripped Upper Receiver Black anodized finish Made in the USA .. 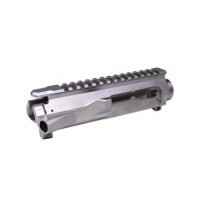 US Made.223 / 5.56 CalT6 6061 Billet 1913 Picatinny Rail Flat TopManufactured From Solid Block Of Billet AluminumM4 Feed RampSmooth "Slab Side" Design (No Forward Assist)MIL-A-8625 TYPE III AnodizingWill Match Up With Any Brand Lower Receiver Accepts Mil-Spec Ejection Port Door Kit&nb..
AR-15 STRIPPED BILLET UPPER RECEIVER - NICKELUS Made In Scottsdale, Arizona.223 / 5.56 CalT6 6061 Billet 1913 Picatinny Rail Flat TopManufactured From Solid Block Of Billet AluminumM4 Feed RampNickel FinishWill Match Up With Any Brand Lower Receiver Accepts Mil-Spec Ejection Port Door..
AR-15 stripped billet upper receiver in blue.223 / 5.56 CalT6 6061 Billet 1913 Picatinny Rail Flat TopManufactured From Solid Block Of Billet AluminumM4 Feed RampBlue Anodized FinishWill Match Up With Any Brand Lower Receiver Accepts Mil-Spec Ejection Port Door Kit And Forward Assist ..
AR-15 stripped upper receiver - black anodizedHigh Quality Forged A3 Upper receivers milled to precise final specifications from 7075 aluminum forgings to produce a tough, high-quality upper you can depend on. 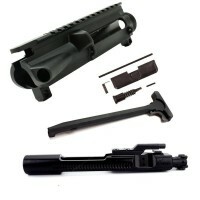 Features include:M4-pattern feed cuts for reliable feeding, military-style, hard-anod..
AR-15 Ejection Port Dust Cover AssemblyUS Made.223Includes Dust Cover, Rod,Spring, And ClipComplete Assembly .. 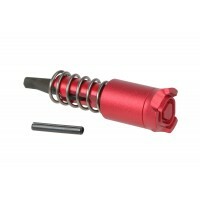 Complete AR-15 Forward Assist AssemblyUS Made.223 CalMil-SpecIncludes Button, Spring, And PinComplete Assembly .. 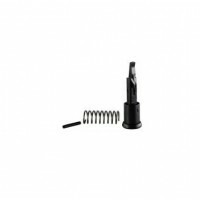 The Forward Assist plunger is made of aluminum for weight savings without sacrificing functionality. 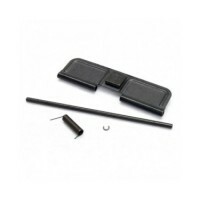 The Forward Assist pawl is constructed from tool steel to ensure positive engagement with the forward assist serrations on compatible bolt carriers.Features:Anodized aluminum plungerSteel pawlIncreas.. 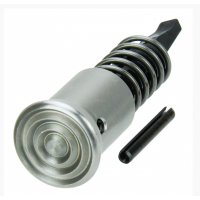 US Made.223 CalMil-SpecIncludes Button, Spring, And PinComplete AssemblyStainless Steel ..